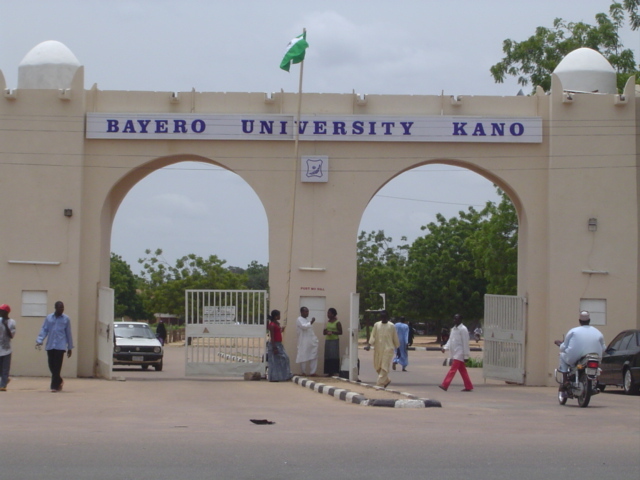 Bayero University Kano (BUK) admission into postgraduate progammes for the 2018/2019 session has been announced – See details below. This is to inform the general public that online sale of the Bayero University, Kano, Postgraduate application forms for the 2018/2019 Academic Session commenced on Monday, 09 July 2018. The cost of each application is Twelve Thousand Naira (₦12,000.00) only. Candidates for admission into Ph.D/M.Phil programmes shall have M.A, M.Ed., M.Sc, M.Eng. or LLM Degrees in the relevant areas with CGPA of at least 3.50 on a scale of 0.00 to 5.00 from Bayero University, Kano or any other recognised University. A minimum of a Good Second Class Lower Degree in the relevant areas from Bayero University, Kano or any other recognised University. A Degree plus University Postgraduate Diploma at Credit level in the relevant areas from Bayero University, Kano or any other recognised University. For all Engineering programmes, candidates must have Credit in English, Mathematics, Physics and Chemistry. A Degree in Law or the Social Sciences plus University Postgraduate Diploma with minimum classification of Merit from Bayero University, Kano or any other recognized University. Candidates for admission into PGDBF, PGDHE, PGDPPA, PGDSPA, PGDCMPC, PGDMC, PGDDS, PGDE, PGDGC, PGDRTM, PGDHE, PGDDA and PGDIM shall possess a Degree in any discipline from BUK or any other recognized University or HND with a minimum classification of Lower Credit obtained from recognized Institutions. Candidates for admission into PGDEM, PGDLA and PGDSE, shall possess a Degree in Geography, Environmental Sciences, Agriculture and related disciplines or HND with a minimum of Lower Credit in the related disciplines. Candidates for admission into PGDAF shall hold a Degree in Accounting or related disciplines obtained from a recognized University or HND with a minimum classification of Lower Credit in Accounting or related disciplines obtained from recognized Institutions. Candidates for admission into PGDTESL must have at least a 3rd class Degree in English or combined honours. Candidates for admission into PGDHS should have at least a 3rd class Degree in Hausa or combined honours or HND with a minimum of Lower Credit in the relevant areas obtained from recognized Institutions. Candidates for admission into PGDBS, PGDC and PGDIP shall have a Degree in the relevant Science subjects or HND with a minimum of Lower Credit in the relevant areas obtained from recognized Institutions. Candidates for admission into PGDEE, PGDCE and PGDME shall have a Degree in the relevant Engineering areas or HND with a minimum of Lower Credit in the relevant engineering areas obtained from recognized Institutions. Have MBBS or BDS degree of Bayero University, Kano or an equivalent Medical Degree from a recognised University. Be registered with the Nigerian Medical and Dental Council and posses a current practicing license. Have at least three years post qualification cognate experience in Medicine or health related area at Federal, State or Local Government Area levels. Those employed in non-governmental organisations, engaged in occupational health services as well as those in the private sector are also eligible. There shall be an entry written examination, short listed candidates will then be interviewed to determine eligibility of the candidates. Visit http://mybuk.buk.edu.ng/spsforms2018/ Click on the Register Tab on the left navigation panel to go to the Create an Account Page. At the Create an Account page, create an account by providing your First Name, Middle Name, Last Name, Personal Email and Personal GSM Phone Number. A Login credentials (username and password) will be generated for you. Please take note of them, as you need them for subsequent steps of the application process. Use Login Tab on the left navigation panel to login to your account (using your login credentials) to start/continue your application process. I have a second class upper division in Accounting, can I apply for sociology with specialisation in medical sociology In BUK? I want apply for M.A islamic studies at BUK now, is it possible please. Jamilu, applications for the coming session are yet to begin.